Florida “mansion” once owned by Osama brother | can i just finish my waffle? 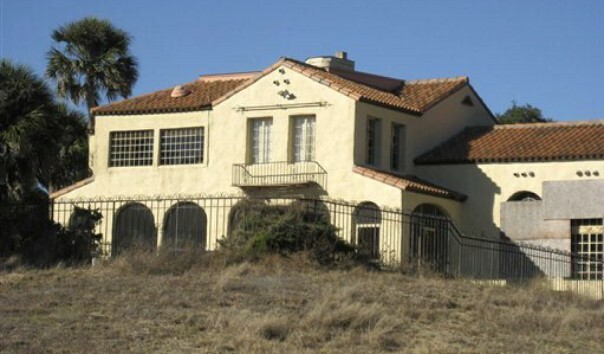 Dubbed as one of the “creepiest abandoned mansions” in the U.S is a home once owned by one of Osama’s some 54 siblings. The family of Khalil bin Laden fled the country after the attacks. These people were everywhere as we had welcomed them into our country with open arms prior to 9/11. Posted: 05.05.11 @ 12:03 p.m.
What do you think – will the Intel they recovered from OBL’s compound in Afghanistan show that he was in touch with his siblings? They denounced him after 9-11 but I still find it hard to believe he wasn’t in some contact with his Arab kin. OBL had 23 kids one was shot dead a 19 year old son. That leaves 22 more by 4 different wives. KJ: With so many wives, children, and siblings they could make up a small city. I can’t even imagine how they interact.